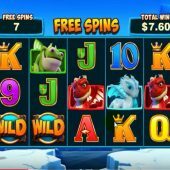 Dragonz slot is another addition to the Microgaming catalogue of 243-way games, and has similarities to several such as Thunderstruck 2 and Jurassic Park with its 4 bonus rounds. The standard 3-row 5-reel plan is apparent and the game is themed around different colour images of children's stuffed toys in the form of Dragons, surprisingly enough! The game has single symbols and the Red Dragon and Purple Dragon pay 12.5x stake for 5-of-a-kind down to 1.5x stake for the lowest card symbol. There are stacked Wilds on all reels but only 2-high. In-play there is a 'Wild Deal' feature - should you get a Wild(s) anywhere on reel 3 that don't award a win more Wild(s) will be thrown onto the reels to join the symbols up. 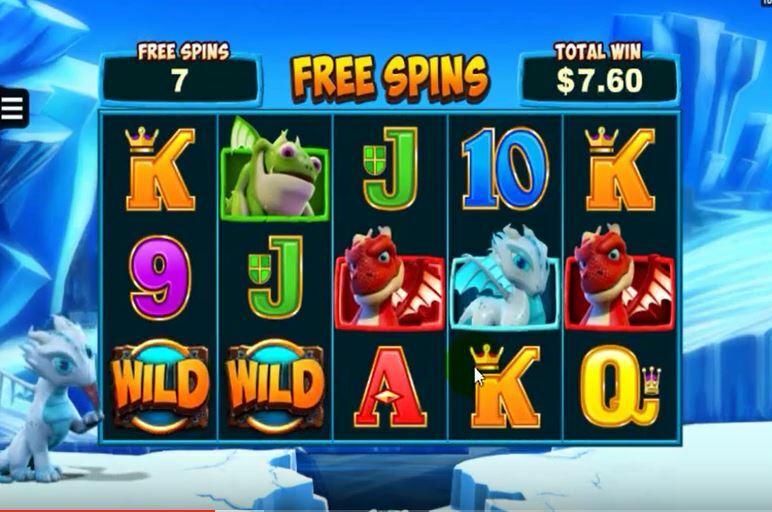 Dragonz Slot has 4 different free spins rounds awarded by 3 or more scatters anywhere in view. Each has different enhancements and none can be retriggered, which usually I find a disappointment on most slots. All start with 10 spins and are chosen by the game until you get the feature trigger for the twelfth time, then you can choose yourself. And yes! you get the pointless 'achievements' unlocked for each possible 3, 4 or 5-of-a-kind win a la Immortal Romance! FROSTY - is the Blue Dragon and freezes and non-winning wilds in place until they form a win. Spins end when you've had 10 or no more wilds are frozen in place. GOBBLE - is rather badly-named Green Dragon and it can randomly spit Wilds onto the screen on any spin. In the opposite way to Frosty above these wilds will remain on the screen until they DON'T form part of a winning combination. FLINT - is the Red Dragon and he randomly fires Wilds onto the screen on any spin. If he does it again, there will be a guaranteed higher number of Wilds next time, and so-on. SWITCH - is the Purple Dragon and he will collect non-winning wilds and when he's accumulated 3 or more he'll throw them on the reels to create winning combination(s). Spins end when no wilds remain on the reels.